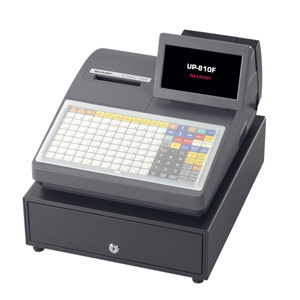 The UP-820N offers advanced, easy-to-use features that allow you to customize your Point-of-Sale System for your hospitality or retail needs. 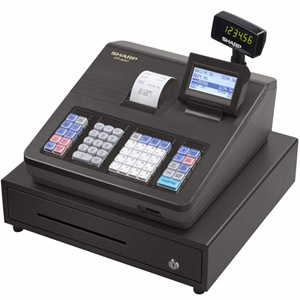 This two-station printer and raised keyboard POS System offers enhanced software features combined with a new innovative touch screen and programmable keyboard that are designed to increase speed of service when entering transactions. 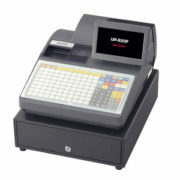 With integrated easy-to-use software and flexible configuration options, the UP-820N can easily grow as your business needs evolve. 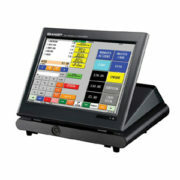 • Color LCD Touch Panel – The 6.5″ color LCD backlit display details eight lines of on-screen information, making it easy for servers to verify orders and confirm sales data. 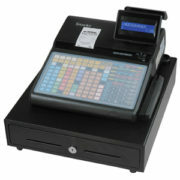 • Quick Customer Service – Delivering enhanced speed as well as more accurate order entry. 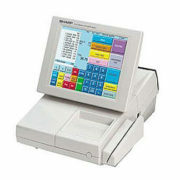 Time-saving features include fast keyboard entry, touch-screen operation for modifiers and choices, plus flexible function menus that combine special functions for fast and efficient actions. 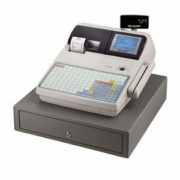 • Easy-To-Use Interface – Automated prompts and simple, customized screens make it easy for staff and managers to enter information quickly and accurately. 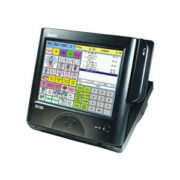 • Enhanced Control With Standard Ethernet – Can function as a central terminal for all others at the location. 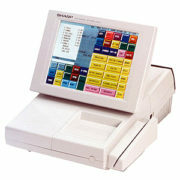 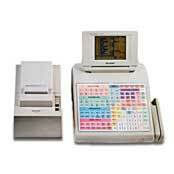 Ethernet capability enables POS data to be combined centrally, so you can save time closing out and totaling. 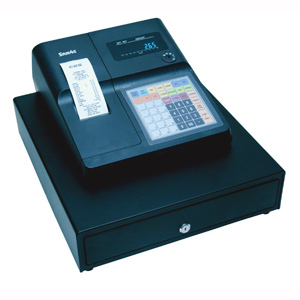 • Sharp Intelligent Data Enterprise (SIDE) – Designed for businesses with multiple locations, SIDE leverages the power of the internet to view automatically polled data from multiple stores. 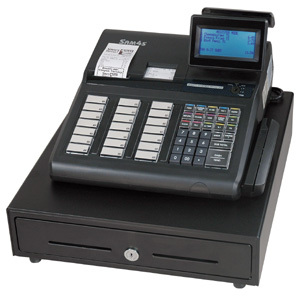 • SDW Back Office Software Solution – Easily increase the functionality of your Sharp POS system with a truly dynamic solution for providing the capability for advanced polling, reporting and programming. 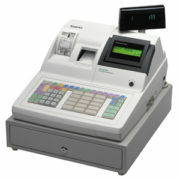 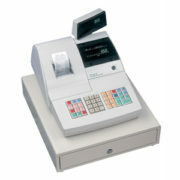 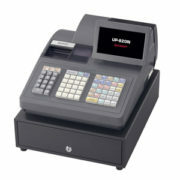 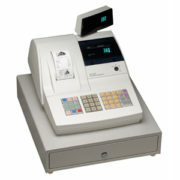 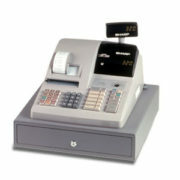 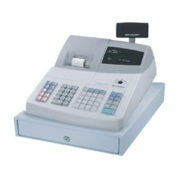 • Additional Features – Compact cabinet design, Standard 5 bill/6 coin cash drawer, full range of PLU/UPC/EAN codes, Price Inquiry/change for UPC, Group discounts, Tray subtotal, Multiple menu levels, Tip and edit tip function, Macro Function keys, PLU menu keys, credit/debit/gift card interface options.